20 pāteke/brown teal were released into the Abel Tasman National Park on Monday 29 May, only the 2nd mainland South Island site where the rare native ducks can be found. In the past pāteke were the most widespread and abundant water bird found in New Zealand. 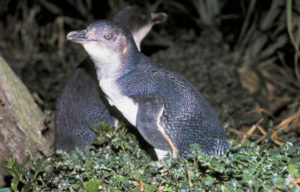 However introduced predators and loss of habitat means there are now only 2,000 – 2,500 left, mostly in the north island. 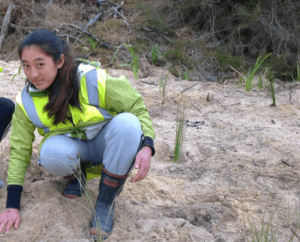 The translocation is part of Project Janszoon and the Department of Conservation’s (DOC) work to restore the biodiversity of the Abel Tasman National Park. The 20 juvenile birds were released after a pōwhiri at the Hadfield Clearing release site on the banks of the lower Awapoto River. “It is wonderful to have pāteke back in our rohe. We appreciate the support from Ngātiwai, Project Janszoon, DOC , Pāteke Recovery Group and the Pateke captive breeding network who are all working in harmony for the environment”, says Manawhenua ki Mohua representative John Ward-Holmes. Kaumatua Hori Parata and CEO Kris MacDonald from Northland iwi Ngātiwai were on hand to ensure the manu (birds) safe transition to their new home. “We are pleased to re-establish our relationship with the Manawhenua ki Mohua and hope these pāteke thrive under their kaitiakitanga. We thank DOC and the efforts of the Pāteke Recovery Group who have worked hard to build populations at Mimiwhāngata and Aotea (Great Barrier Island) two natural breeding areas in the rohe of Ngātiwai,” says Kris MacDonald. Pāteke Recovery Group captive coordinator Kevin Evans says around 20 breeders raise the ducks in captive breeding facilities from Dargaville to Invercargill. The juvenile pāteke are then taken to Peacock Springs in Christchurch where they have been pre-release conditioned. “At Peacock Springs the birds have been kept in an aviary with an environment as close to the wild as possible and they have been trained to use the automatic feeders that we will set up at the release site. 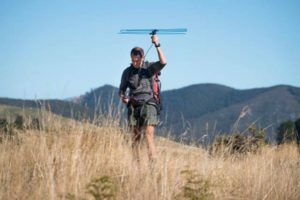 I believe Hadfield Clearing is well suited to pāteke and they should enjoy exploring their new location,” he says. The release site is located in an area with an intensive stoat trapping network that now encompasses 80% of the national park. A feral cat trapping programme has been undertaken to provide a safe habitat for the pāteke/brown teal. Project Janszoon director Devon McLean says the small dabbling ducks will be closely monitored and if they thrive up to 300 could be released at the site over 7 years. “Like any translocation, there is always a risk the birds might disperse from their new environment, however we will be monitoring these pāteke closely so we will quickly know if there are any issues and how we can best address them,” he says. DOC biodiversity ranger John Henderson says the birds feed on pasture and invertebrates in the upper margins of estuaries so it is likely they will forage throughout the Awaroa Inlet. “We have taken every precaution to protect the birds from predation but would ask visitors to the area to advise either DOC or Project Janszoon if they see feral cats. A single dog can also kill many pāteke so please can hunters and local bach owners keep any dogs under control so the ducks have a chance to establish in the Park,” he says. While the ducks will be monitored please report any sightings through the free Abel Tasman smartphone app – search for Abel Tasman in your Google Play or App store.